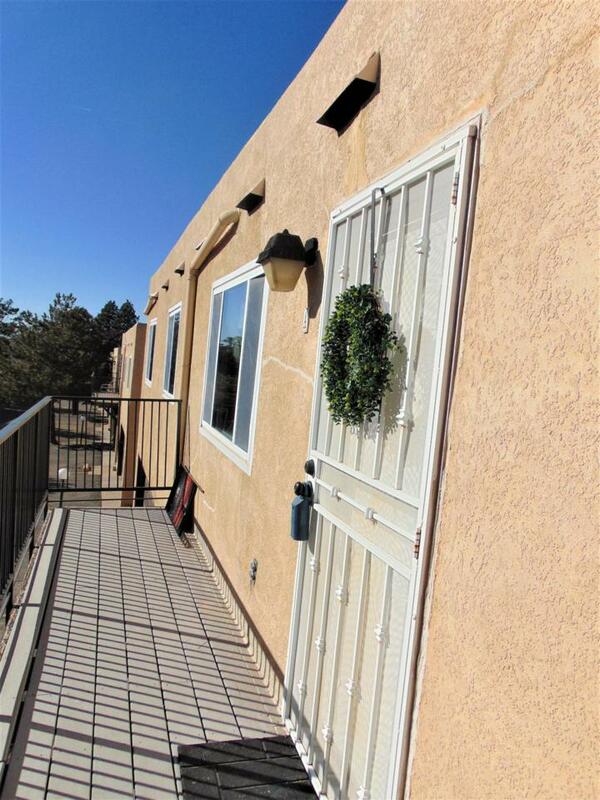 Cozy two-bedroom, one bath condominium nestled in the northeast heights. Located in a private community this home is close to shopping, restaurants, gyms, a large park with tennis courts, great schools, and the beautiful foothills hiking/biking trails. Amenities of this well-maintained property include a brand-new roof,large living area, all new vinyl wood floors throughout, large bedrooms,fresh paint, refrigerated air, electric heater, energy saving windows& blinds, new dishwasher, garage with storage and a balcony. This affordably priced home is perfect for the budget-minded buyer.